Sampling the City: Architecture Culture in Melbourne, curated by Fleur Watson, with exhibition design by Amy Muir and Stuart Geddes (http://www.chaseandgalley.com/), projection by Keith Deverall (http://keithdeverell.net/) essay by Fleur Watson, introductory narratives by Michael Spooner and built environment imagery by Peter Bennetts (http://www.peterbennetts.com/). 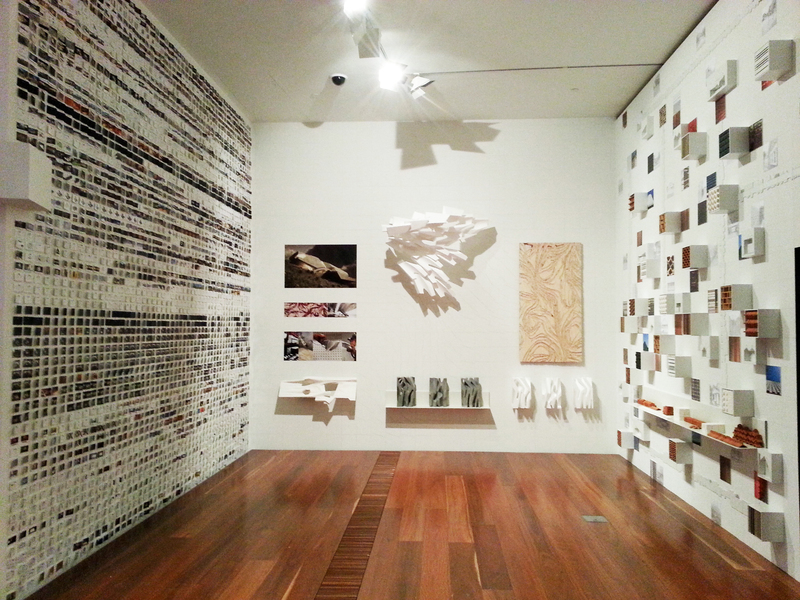 Included as part of the National Gallery of Victoria supershow “Melbourne Now” 22 November 2013 – 23 March 2014. 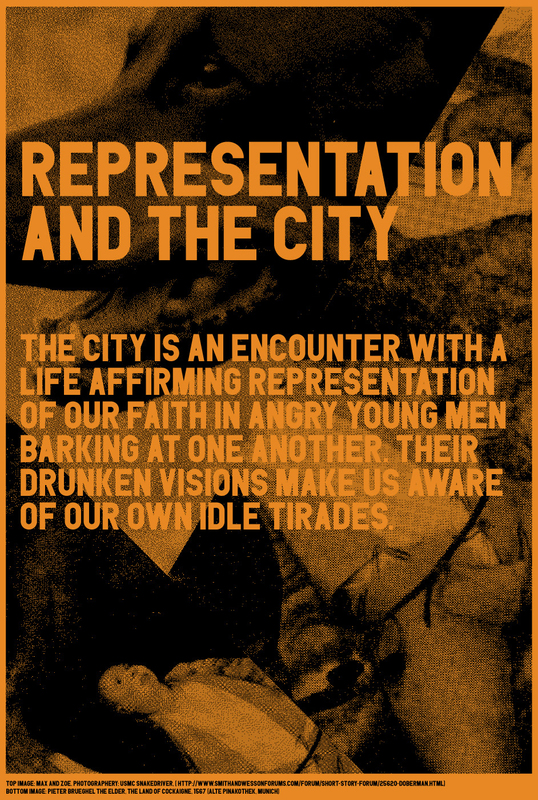 At the invitation of the curator Fleur Watson, Spooner was tasked with producing five critical statements in response to the curatorial themes outlined by Watson and the collected buildings and practice case studies presented in the exhibition ‘Sampling the City’. Spooner approached the production of these statements through the selection of images that critiqued the curatorial themes. Images were paired in such a way as to dispense alternate, potentially dissenting narratives to that represented within the exhibition. 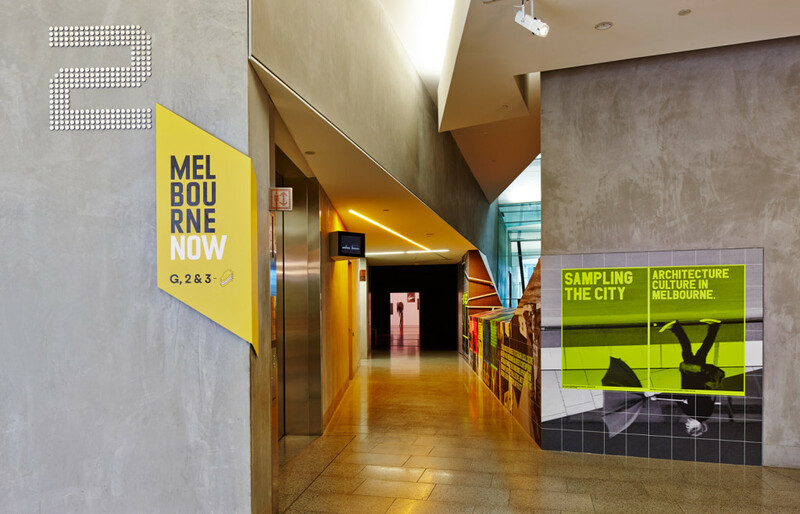 Interpretations of the alignment between text and images were envisioned to be contingent and enigmatic and were not conceived with the intention of edifying the themes prescribed by the curator, or making them more legible within the public display of Melbourne Now. 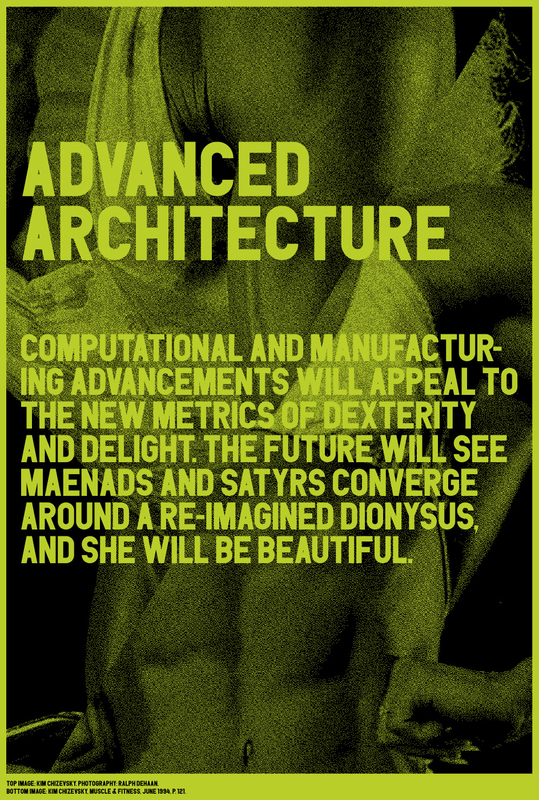 For example, it was observed in Advanced Architecture that the concerns of the architects and the spatial plasticity of the buildings presented within this framework had an equivalence of matter and energy that could realise a similar if not as sophisticated inquiry into form and meaning presented by Howard Raggatt in his thesis ‘Notness: Operations and Strategies for the Fringe’. Notness included an image of the female body builder Lenda Murray as an example of an enterprise that tested the boundaries of beauty, gender and sports and thus was visibly on the fringe of recognition. Raggatt drew parallels between female bodybuilding and his enquiry into the formal qualities of the renowned Vanna Venturi House (1964) by Robert Venturi as representations of it were pushed, pulled and flexed byway of aleatory procedures and their realisation in the local Howard-Kronborg Medical Clinic (1993) by Ashton Raggatt McDougall. The fringe was argued by Raggatt to be both a position and an approach that inferred the site of an Australian introspection, and challenged architects with realising architecture that could elucidate the difficult plurality of Australian concerns whilst countering homogeneity. 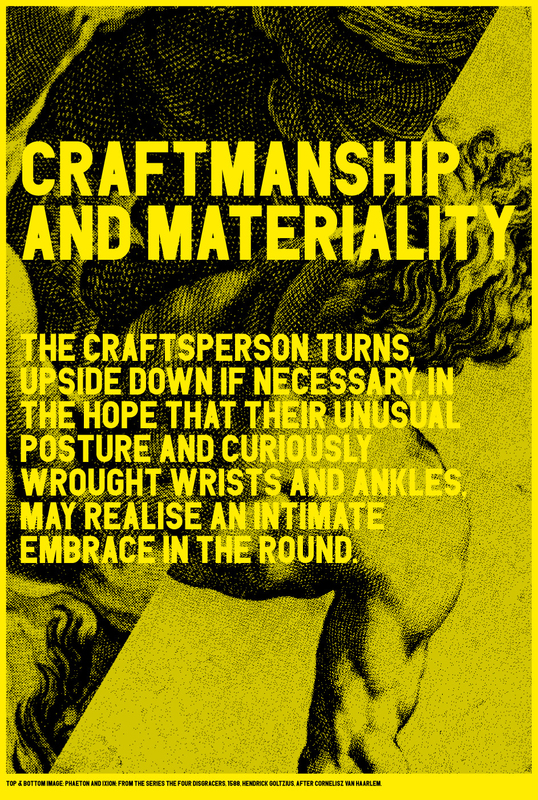 The poster confronts how this collection of practices and their associated instruments of production could be tasked with ministering to the legacy of Raggatt’s poised Dionysius by using the image of the body builder Kim Chizevsky who would take the title of Ms Olympia from Murray in 1996. 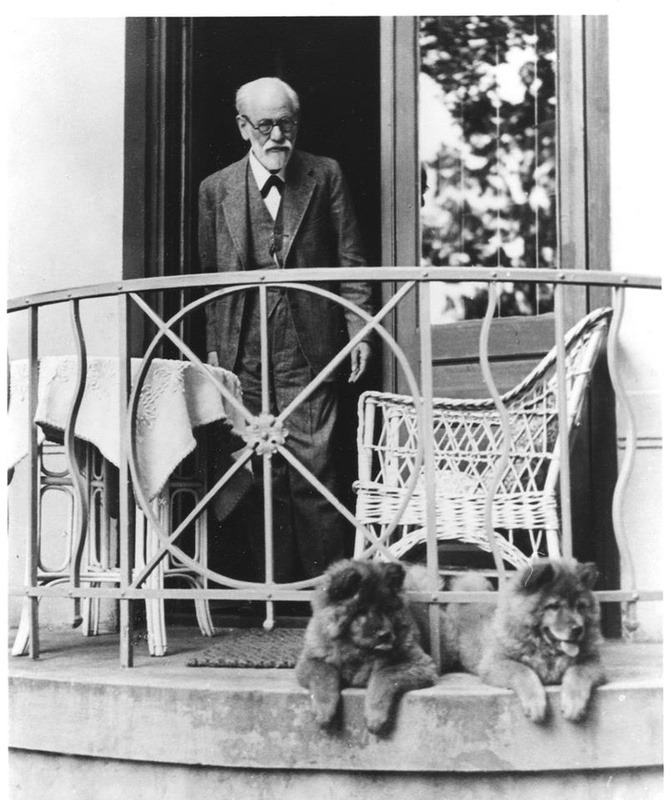 In another example, Art Engaged Practice included an image of Sigmund Freud on the balcony with his two dogs spliced with an image of Holyoake Cottage (2000) by FIELD Consultants. 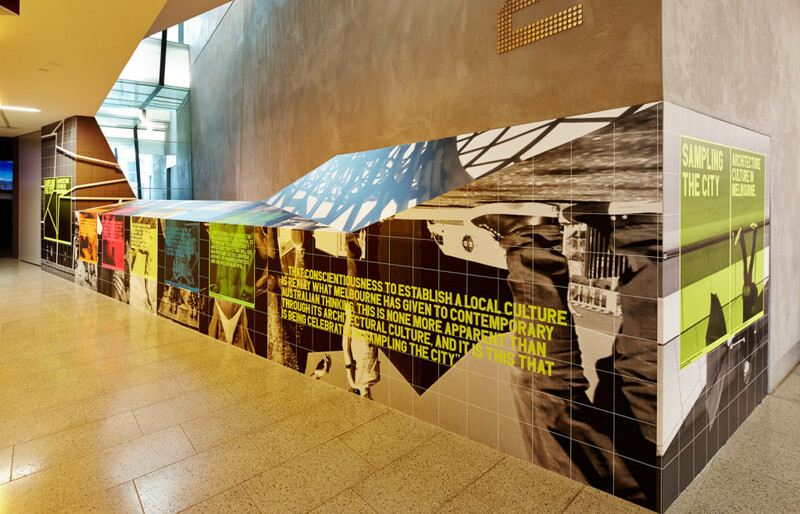 The images considered the slippages of the Roy Ground’s designed National Gallery of Victoria (both as a representative ‘art gallery’ and as the art gallery presenting the Melbourne Now show) and its intimate relationship in proportion and spatial hierarchy to the architect’s courtyard house constructed in 1952. Holyoake Cottage was observed to repeat the spatial hierarchies and motifs of the Ground’s House. The distinctions made by Freud in his essay The Uncanny (1919) was witnessed as the repetition and doubling of the symbolic order to render that which had been negated. Negation as a site of productivity – that something was not – continued the discussions put forth by Raggatt’s thesis Notness and articulated in his project the Not-Vanna-Venturi-House and the Not-Philip-Johnson-Glass-House, and was further exemplified in FIELD Consultants’ description of Holyoake Cottage that sought identification only through what it was not; not a villa, not heavy and that it did not have three-bedrooms and a pantry. The use of the word ‘not’ in these circumstances is neither a rarefied commentary or for that matter an outright clarification of what something is. The ‘not’ expresses a contingent situation where the thing in question is unable to find expression in presently conceived economies of language, or refuses to be totalized within concepts that cannot adequately bear it. Consequently, an architectural practice that was art engaged was conceived as one that negated the direct investment in art for the presentation of an architectural agenda and subsequently in the institutions that proved any such investment. 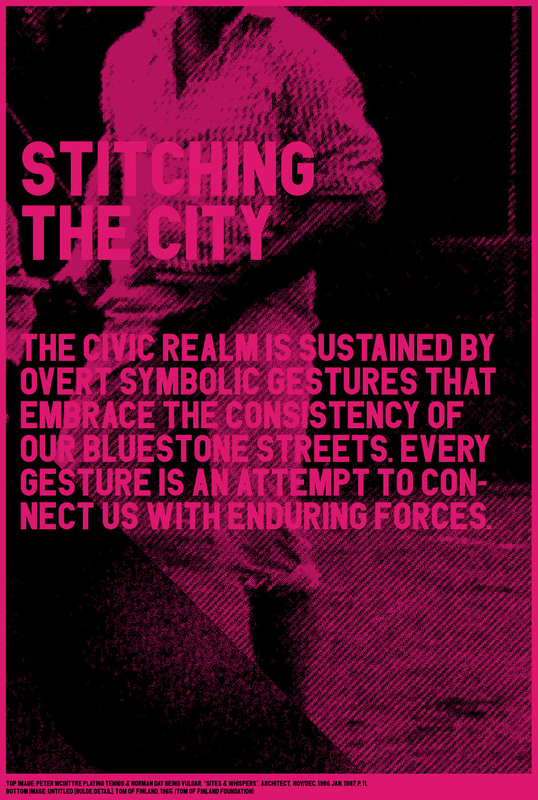 This position closely examined and critiques the curatorial agenda and the inclusion of practices and buildings, (particularly the Lyon Housemuseum which, like the history offered by the Ground’s House also problematizes the domestic and civic via the engagement with art, but in a way that is consciously conceived and implemented) that have explicitly made claims to an engagement with art practices to advance the cultural significance of architecture. 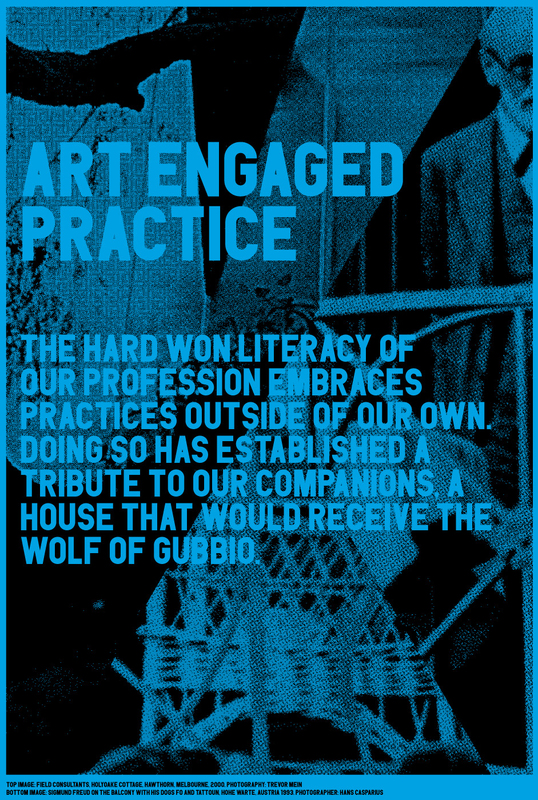 The text rejects the engagement with art practices for the furtherance of architecture with the positioning of an art engaged practice as one determinately not engaged in the rhetoric of art practice. This was not an acerbic assertion, but a claim that attended to an architecture that could account for the very things it was not. Stuart Geddes and Michael Spooner drawing the 200x200mm pencil grid that conditioned the surface of the incubator room. 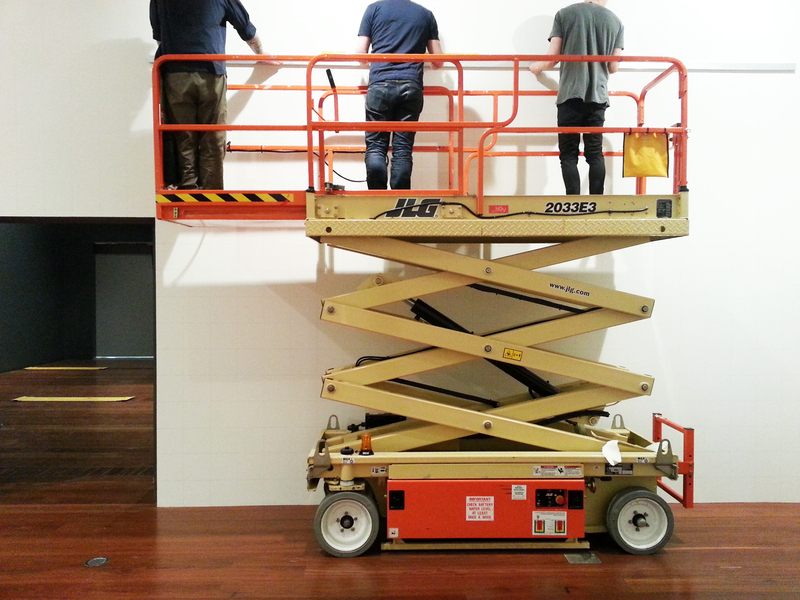 Thank you to the NGV team who supported the install! 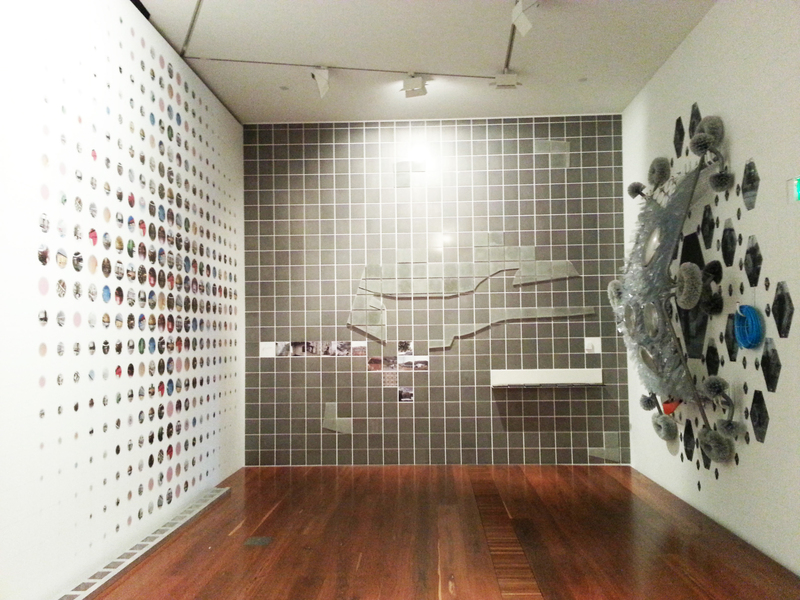 .gif from Photos by Peter Bennetts of the immersive video and sound space presenting the work of 20 Melbourne Architects.